O If you glue up your pane! with multiple boards, joint the long edges of each board to flatten and smooth them. Yoult want to glue up the boards with the tightest joints possible s<> the seams aren't distr acting. Apply an even coat of glue to the mating edges of the boards and clamp them together. Squeeze the joints until they are closed, but don't overtighten. 0 Sand the panel faces smooth. Since the panel will receive multiple closely spaced cuts, it's best to sand the panel smooth nmv, rather than leave all of your sanding until later, when sanding will be more difficult. Sand to 220-gi it. ©Lay out the apple-shaped frame on the panel: Enlarge the template on page 231, and use it as a guide to draw the frame shape. 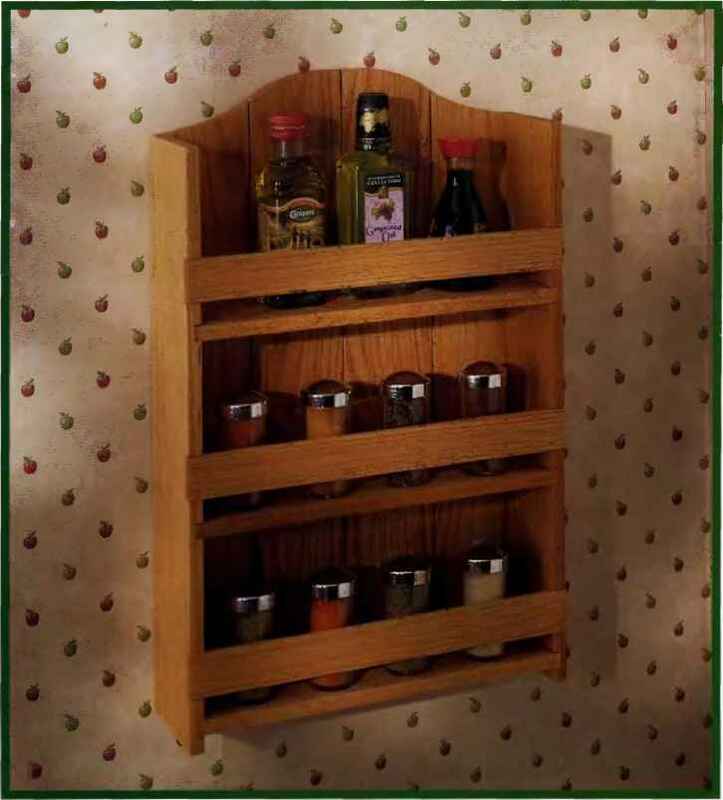 Be sure to orient the pattern on the panel so the grain runs lengthwise along the apple. PHOTO A: Cut out the apple-shaped frame that supports the basket. Then mark and cut out the basket from the center of the frame as well as the stand. PHOTO B: Hit the saw table to 3° and begin the spiral cut, orienting the workpiece so the Made tilts In toward the center of the basket throughout the Cut.Take your time making this spiral-Ing cut, following your layout lines closely. Try to complete the spirals in one continuous cut. 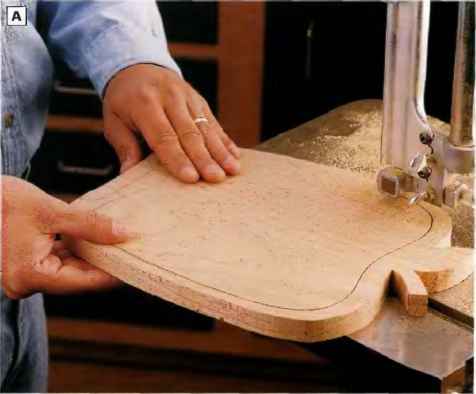 PHOTO C: Glue the saw kerf closed in toe frame, and use a strap clamp to hold the joint shut. Glue the first Inch or so of the basket spiral together. A C-clamp works well for keeping this joint closed while the glue dries. Then scrape or sand away any glue squeeze-out. PHOTO D; Fasten tfie stand and the basket to tfie frame. Attach the basket with two brass flatfiead wood screws,, driven Into countersunk holes in the frame sides. Attach the stand to the frame with a l-ln. brass flathead wood screw, driven up from below. 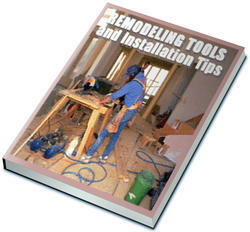 on your band saw and set the saw table at 90° to the blade. Trim along the layout line you drew in Step 3. © Cut out the basket shape and the stand. Use your pattern as a guide to draw the basket cutout and stand on the apple blank. The exact shape of the overall basket isn't crucial, hut he sure to size it so the frame around the basket is at least in. wide on the sides, and \ V'i in, wide on the bottom. Then cut out the basket, starting near the bottom of the apple frame, and make the cut in one long pass around the inside of the frame to remove the basket (See Photo A). Cut out the stand. © Prepare for cutting the spirals in the basket: Select the best face of the basket and use your pattern for drawing the spirals on this face. Tip: You may want to adhere the pattern directly to the workpieee with spray-on adhesive and use it as your actual cutting diagram, if youd rather not draw the shapes or spiral pattern by hand. Be sure the spirals are at least Vi in. wide, and stop the spiral pattern when the center of the basket is about 4 in. in diameter. The actual spiral cut will require you to tilt the band saw table to Doing this will cause the spirals to friction-fit together when the basket drops into its open position. right of the blade and start the cut with the grain. If your table is tilted to the left, place the workpieee to the left of the blade (See Photo B). Make the cut slowly, and do not stray from your cutting line as you go. When you complete the cut, keep the saw running and carefully back the blade out of the cut. 0 Glue the saw kerf closed on the frame, and glue the first inch or so of the haskot spiral together as well (See Photo C). The goal here is to hide these joints, so clamp both joints until the glue dries. © Drill countersunk holes for the two screws that hold the basket inside the frame, as well as the single screw that holds the stand to the frame. Install the screws and test the action of the parts (See Photo D). If you've assembled the parts correctly, the stand and basket should pivot easily and the basket should drop down toward the stand when opened. G) Depending on how precisely you were able to set the band saw table angle when you cut the spirals, the basket may not drop down as far as you'd like when it opens because the spirals fit too tightly together. To improve the fit, sand the cut edges of the spirals all around to reduce friction between the basket loops. Then topcoat the project with several coats of clear, satin polyurethane varnish. How to draw a basket of apples? How to make an apple basket on band saw? What angle do I set my bandsaw at to make a colapsable basket? How to make a Bowl (basket) with the Scroll Saw? How to get my band saw bowl to stand? 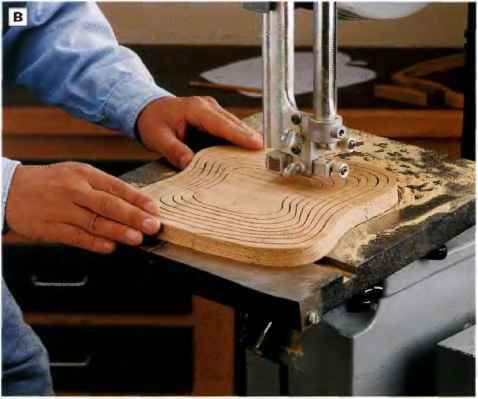 How to make wood bowls on a bandsaw? How to cut wood craft work? 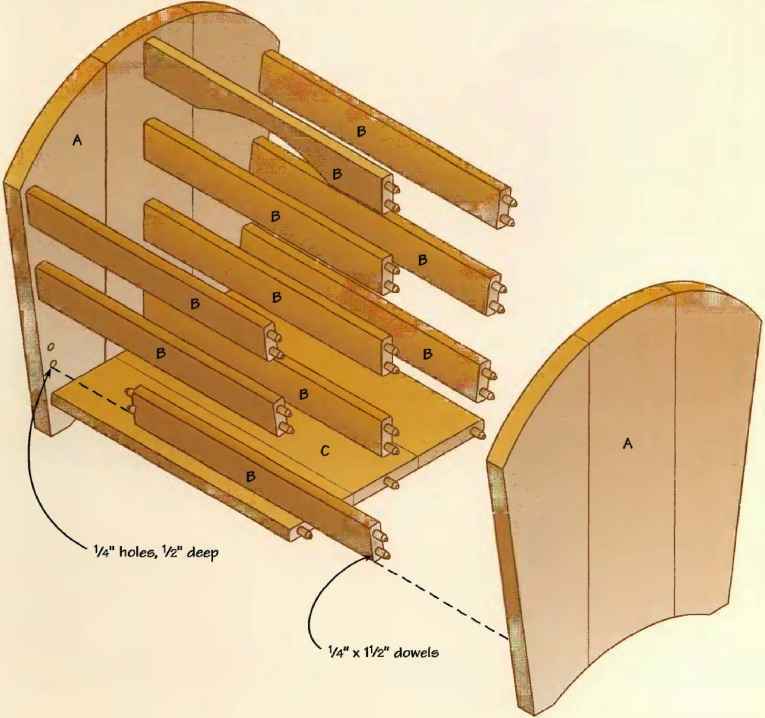 Which side of a scroll saw spiral basket faces up?